I have a new story, “Dear Fairy Godmother,” up at Barrelhouse for their Weird Love segment. Basically, Cinderella wants a do-over. And makes a “that’s what she said” joke. Carol Guess and I will be reading from our collaborative story collection, With Animal, for a Live Lit! event at Village Books in Bellingham, Washington on January 22, 2016 at 7pm. Please come if you can! More information can be found at the Village Books website. 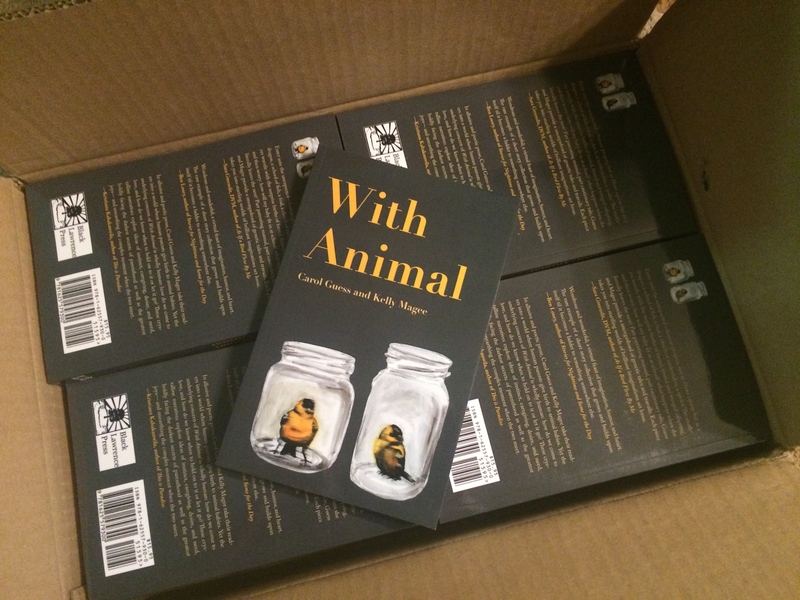 To celebrate the publication of With Animal, the collection of short stories I wrote with Carol Guess, I am giving a reading with three other fantastic writers of stories and poems about animals this Thursday, November 12, 8pm at Honey Moon in Bellingham, Washington. Please come if you can! There will be books for sale and donations taken for Happy Tails Happy Homes, a local animal rescue organization. My fellow readers are Brenda Miller, Kami Westhoff, and Elizabeth Vignali. I’m using this picture to advertise the reading because it’s one of my favorites of my kid. 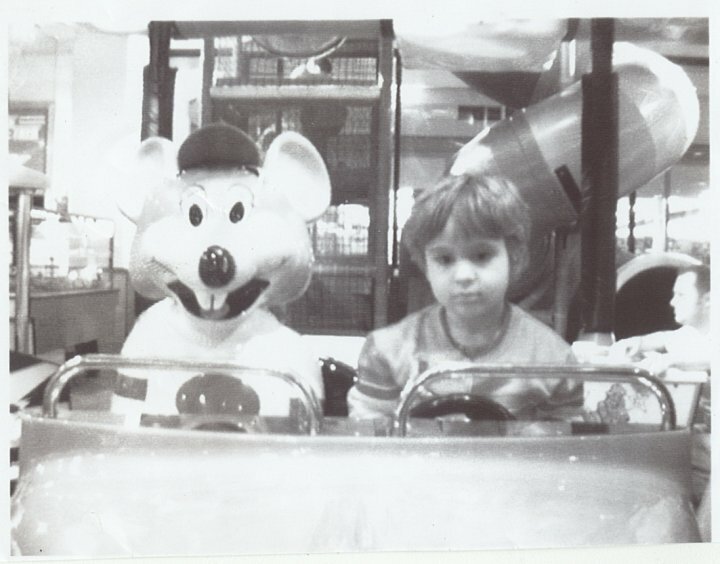 It really conveys the Chuck E Cheese experience perfectly. And since my book is about human-animal families, it just seemed to fit. When you are a collection of strange, magical little stories published by a small press (albeit a truly fantastic one), you depend on friends, family, and word of mouth to get your book into the hands of readers. So it is always with excitement and gratitude that I hear from people I know who are interested this book — and here’s one of them. Lauren at Author Stalker interviewed Carol Guess and me about the collaborative process and our individual writing styles. It was a joy to talk to Lauren again, especially about how much fun it was to write this book. In one of my classes this week, we’re talking about the differences/similarities between influence and appropriation, using a whole bunch of recent news in creative writing to fuel our discussion (see this, this, this, and this — and one of the many responses to that last one — to start). My students are characteristically brilliant at seeing the nuances: the line between ethical and unethical “stealing” is constantly shifting, depending on the players, the art, the bodies behind the art, the zeitgeist, the power dynamic, and on and on. One of the stories in my book is a retelling of the Virgin birth; right now I’m working on a collection of retold fairy tales; I love the idea of telling and retelling and recreating familiar narratives. I’m invested in fluid kinds of identities, too. And yet. And yet. The kinds of racial and cultural appropriation I’ve seen happening in academia and popular culture are often disturbing, infuriating, and downright harmful. So here I am, trying to parse out this line between right and wrong, knowing that the line is a product of what I understand right now, and that it could change as I become more aware of my own biases, prejudices, -isms, privilege, and creative boundaries. That said, I love to challenge morals. It’s how I understand their parameters. Call me the devil’s advocate. Now I’m going to go write a story that breaks all kinds of rules, just to see what will break and what will hold. And eventually, when I have more strange, magical little stories, I hope to find other small magazines and presses who will take a chance on them. The new book baby I wrote with Carol Guess is here at last! 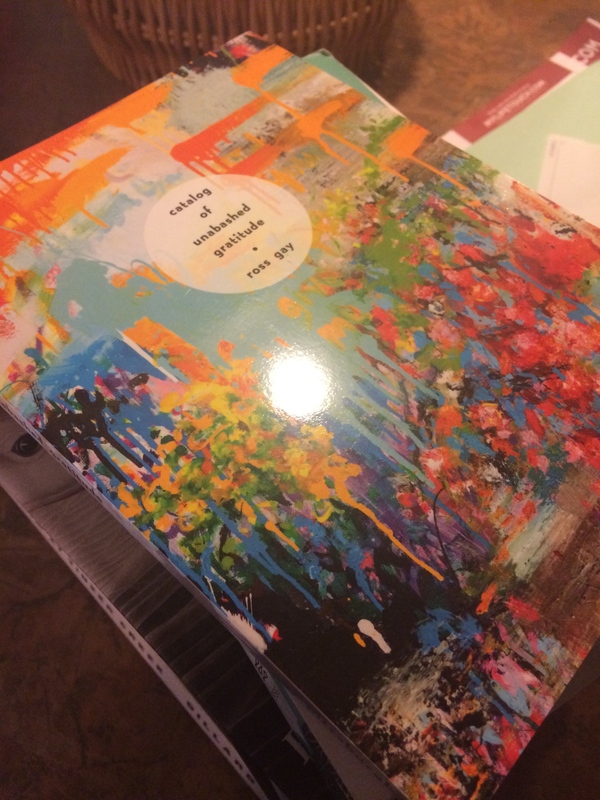 It’s beautiful, and you can order it here.